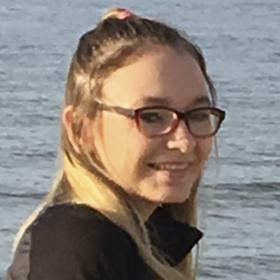 Celina Lou Zuidema, age 14, of Zeeland died Sunday, February 4, 2018 at Helen DeVos Children’s Hospital. Celina attended Creekside Middle School. She enjoyed her dance group at the school and swimming at the family cottage. Celina loved to spend time doing her nails and make-up. She was preceded in death by her mother Heather Zuidema. She is survived by her parents: Mark and Ashley Zuidema of Zeeland; sister: Brittany Zuidema; step-brothers: Jordan Brooks and Alan Kiekintveld; grandparents: Charles and Christine Zuidema of Hudsonville; aunts and uncles: David and Lisa Mulder of Holland and Chris and Amy Turner of Zeeland; and cousins and many, many friends. A visitation will be held from 4-8 pm, Thursday, February 8 at The Bridge Youth Center, 210 E. Main Street in Zeeland. A private family service will be held at a later date. Memorial contributions may be given to The Bridge Youth Center.